The gold badges come from the same jeweler that makes Olympic gold medals. The McLaren Speedtail is the British brand's effort to combine luxury and speed into a single, tantalizing package. If buyers really want to accentuate the machine's opulence, the automaker offers a very extravagant option. 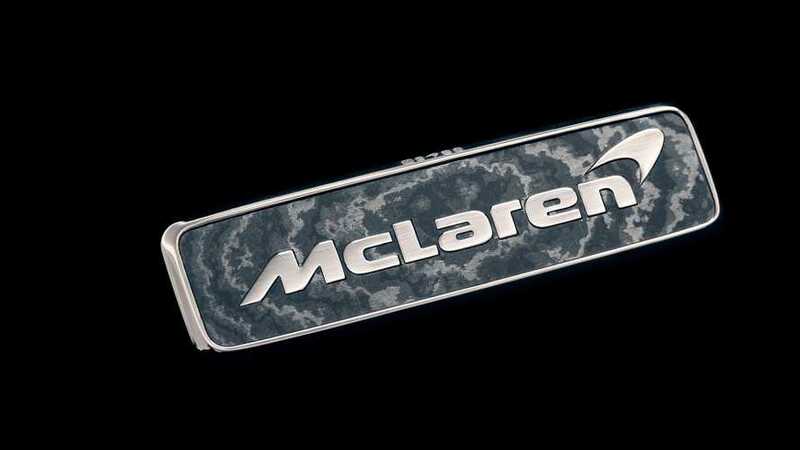 Rather than the standard exterior badges in aluminum with a gloss black inlay, McLaren works with the jeweler Vaughtons in Birmingham, England, to create 18-carat white gold emblems with inset carbon fiber. The badge package uses the 18-carat white fold for two of the brand emblems in front and one at the rear. They feature a laser-etched McLaren hallmark and markings showing the pieces' creation date and location. The carbon fiber inlays use the British automaker's new Thin Ply Technology. Vaughtons is familiar with making important items, including Olympic gold medals and the FA Cup soccer trophy. If gold isn't a precious enough metal for a buyer, McLaren also offers a solid platinum version. Alternatively, If a customer wants to save every ounce of weight possible, then there's also a lacquered emblem transfer that's essentially just a decal bearing the automaker's name. McLaren will publicly unveil the Speedtail on October 26. Unlike the Senna, the new model is more for road-oriented performance rather than top performance at the track. Like the McLaren F1, there's seating for three inside, and the driver occupies the center chair. The vehicle uses the brand's 4.0-liter twin-turbo V8 with the help of electric motors for an output in excess of 987 horsepower (736 kilowatts). This powertrain allows for a top speed of at least 243 miles per hour (392 kilometers per hour. McLaren intends to make 106 units of the Speedtail. Each of them carries a starting price of 1.75 million pounds ($2.3 million at current exchange rates) before options like white gold badges. 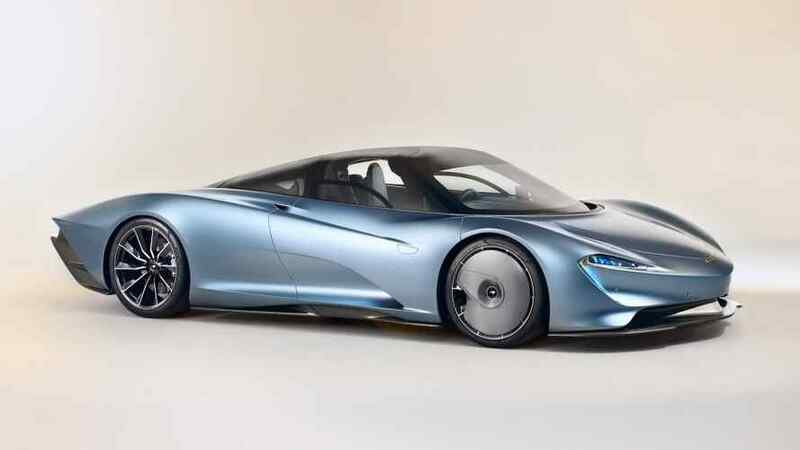 However, the brand already has reservations for the entire production run, so the only way to get a Speedtail now likely requires spending even more on the second-hand market.